July 17, 2016 Troy A. With Friends & Family Have a Big Trout Day on Lake Calcasieu with Captain Tommy!!! July 17, 2016 Troy A. 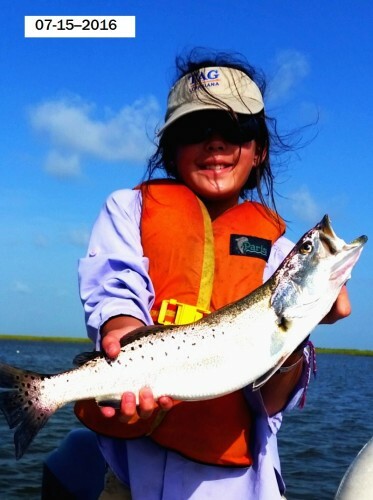 With Friends & Family Have a Big Trout Day on Lake Calcasieu with Captain Tommy! July 16, 2016 Charley V. & Brother Don Catch Some Nice Lake Calcasieu Trout With Captain Tommy!!! 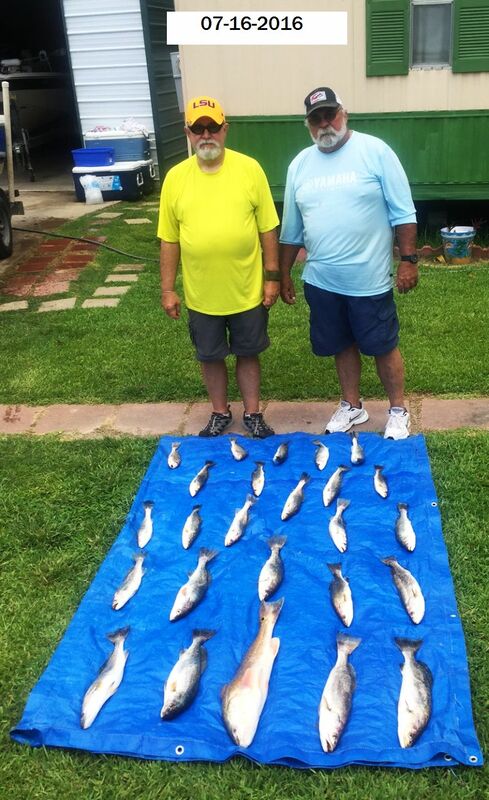 July 16, 2016 Charley V. & Brother Don Catch Some Nice Lake Calcasieu Trout With Captain Tommy! July 16, 2016 Dean B. & Friends Jerad & Kendall Catch a Mess of Lake Calcasieu Bay Snapper !!! July 16, 2016 Dean B. 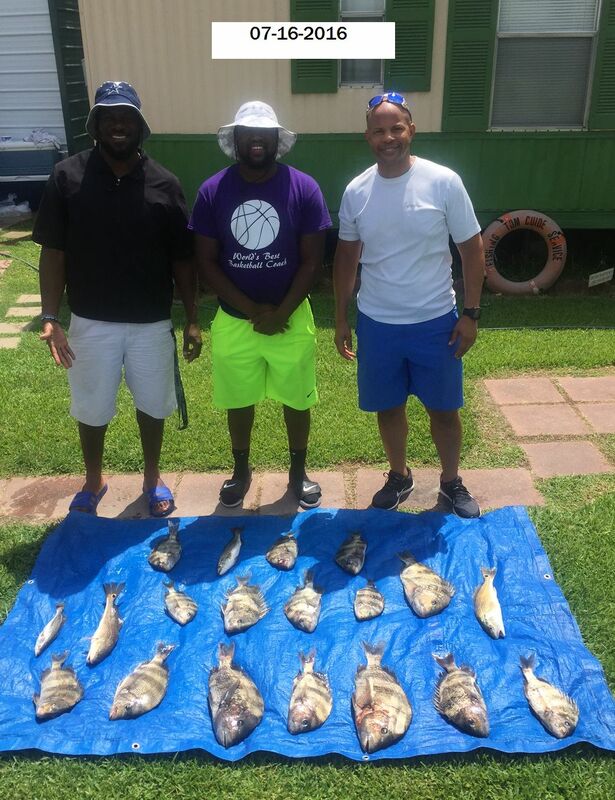 & Friends Jerad & Kendall Catch a Mess of Lake Calcasieu Bay Snapper ! 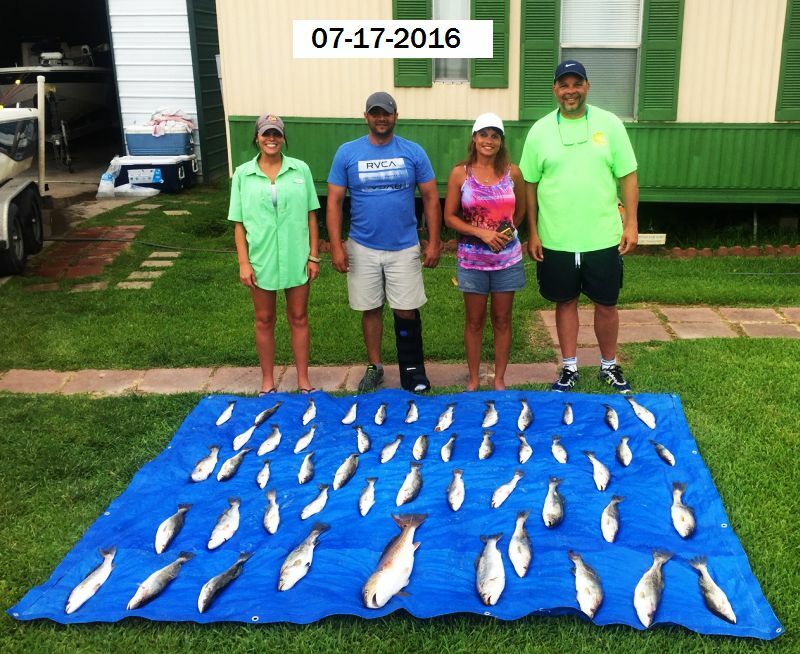 July 15, 2016 It was Big Fish Day for James G., Jay & Brian and The Girls (Hannah & Sarah)Had a Ball Catching Some Big Lake Calcasieu Trout!!! 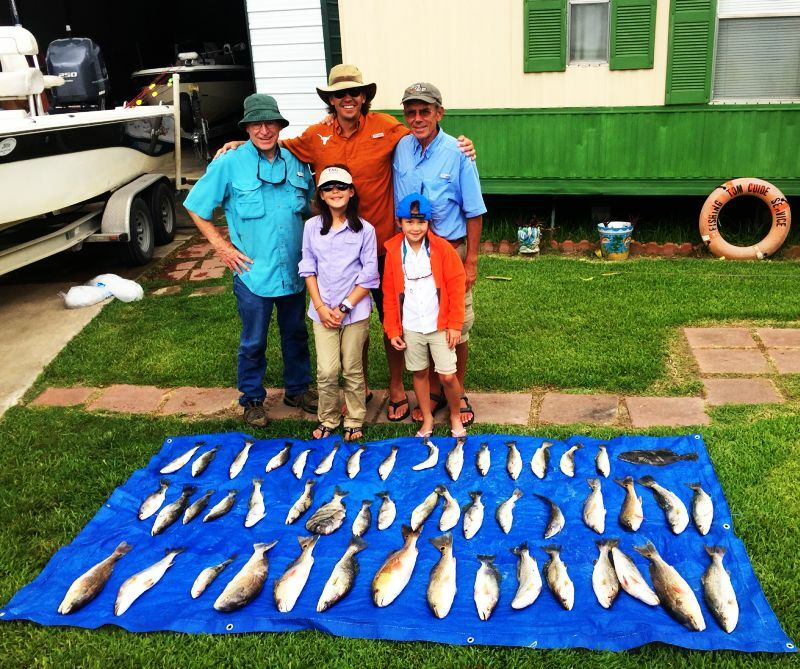 July 15, 2016 It was Big Fish Day for James G., Jay & Brian and The Girls Had a Ball Catching Some Big Lake Calcasieu Trout! Sarah caught this nice 20 inch Lake Calcasieu Beauty!!! 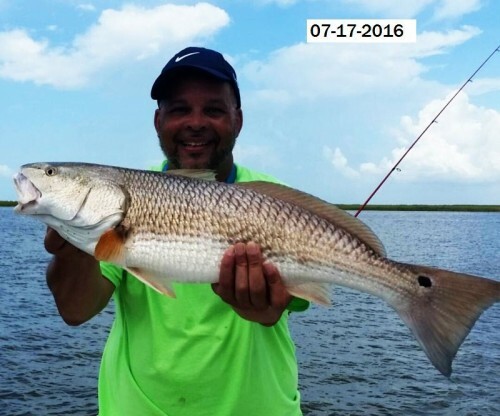 July 13, 2016 Freddie F. & Friends Have a Great Day on Lake Calcasieu with Captain Tommy!!! 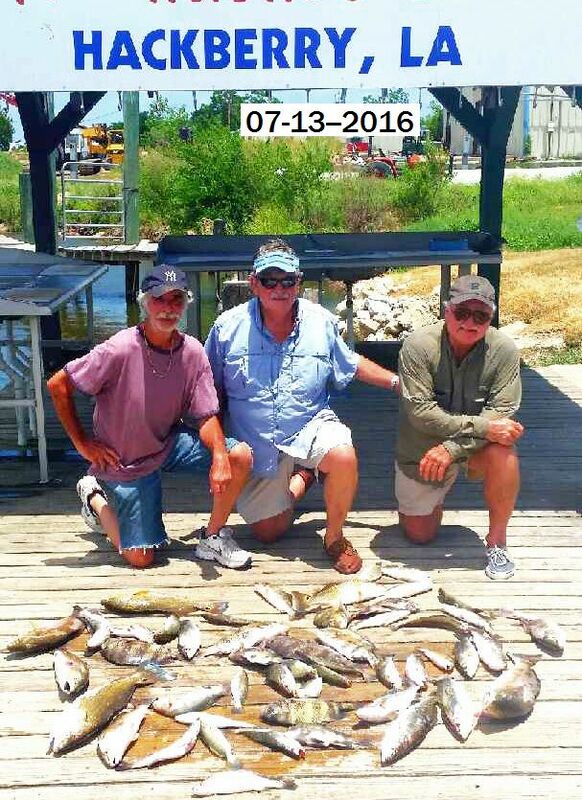 July 13, 2016 Freddie F. & Friends Have a Great Day on Lake Calcasieu with Captain Tommy! July 12, 2016 Family Fun On Lake Calcasieu With Captain Tommy!!! 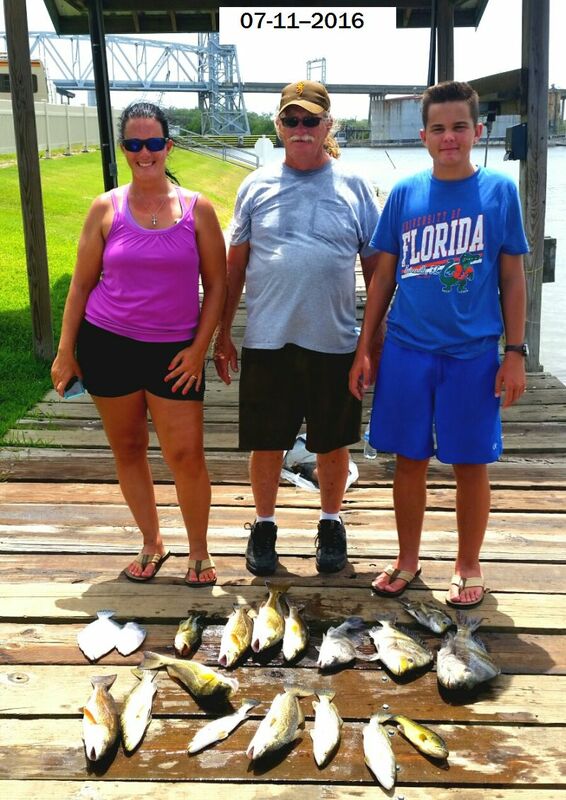 July 12, 2016 Family Fun On Lake Calcasieu With Captain Tommy!